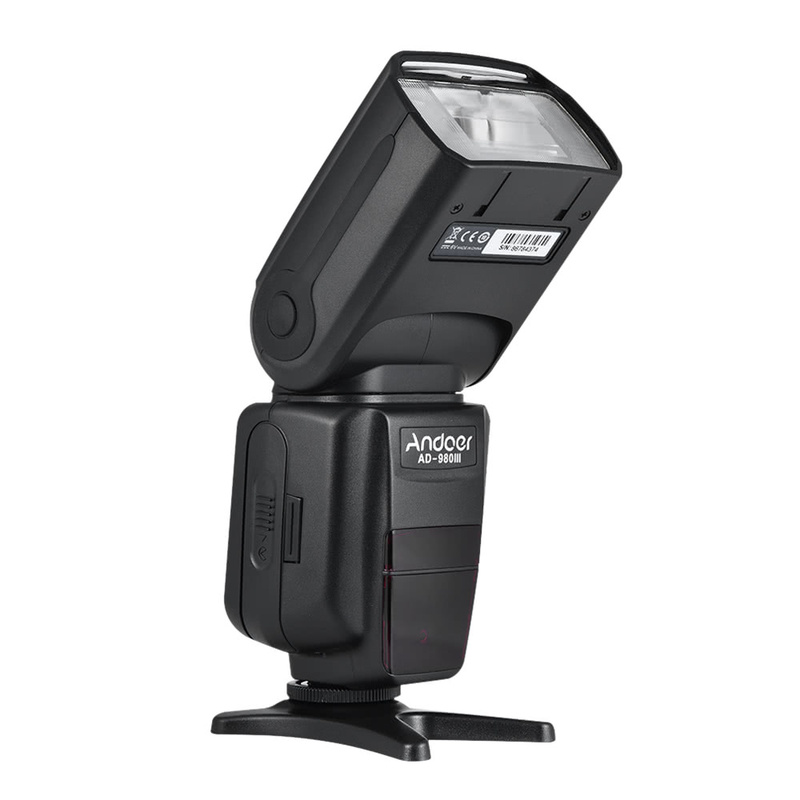 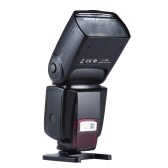 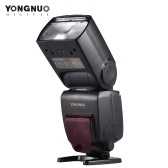 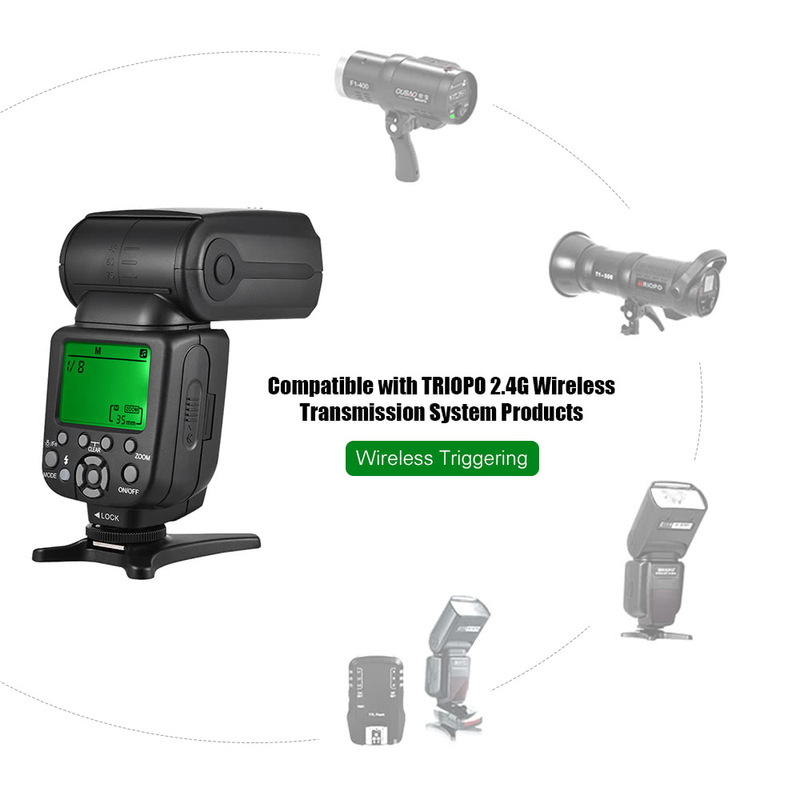 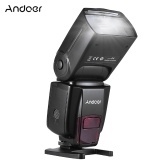 E-TTL flash for Canon series cameras. 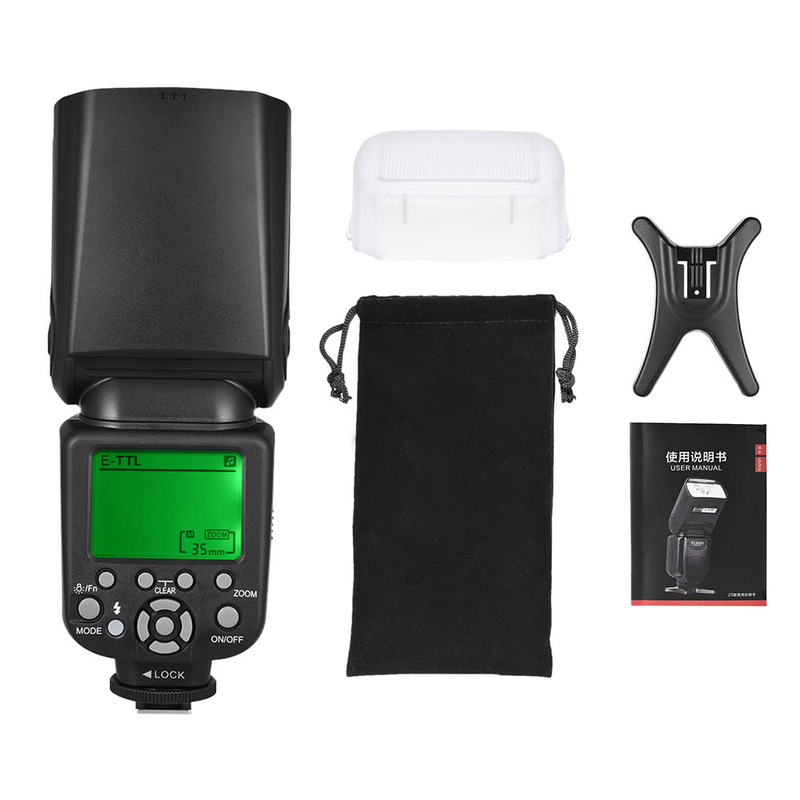 Such as for Canon 5D Mark III/5D Mark II/6D/5D/7D/60D/50D/40D/30D/700D/100D/650D/600D/550D/500D/450D DSLR camera and so on. 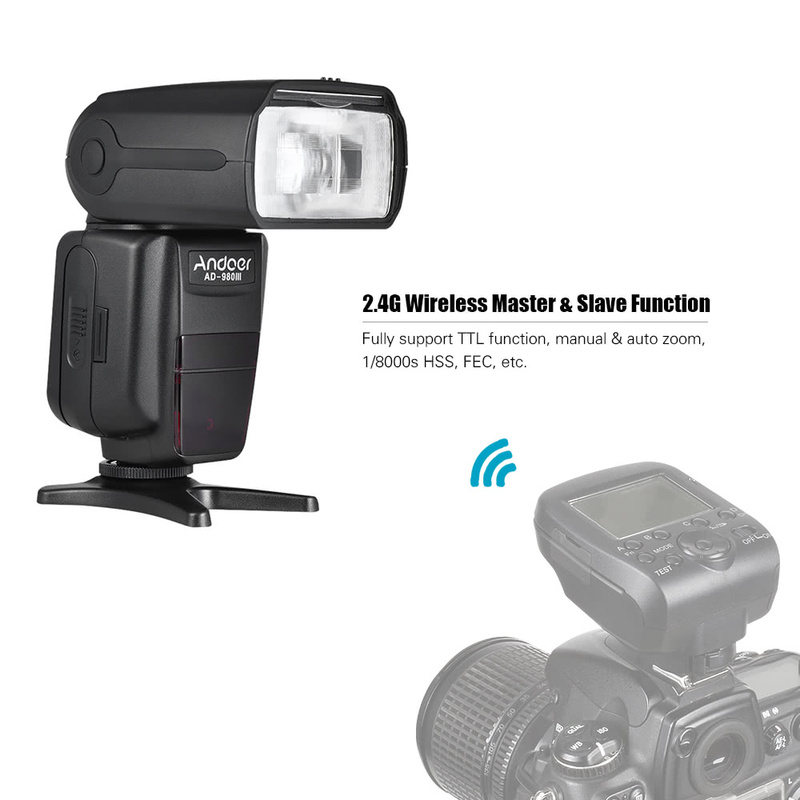 Built-in 2.4G wireless flash system (digital FSK2.4GHz long-range wireless transmission module) communication distance reach up to 100 meters. 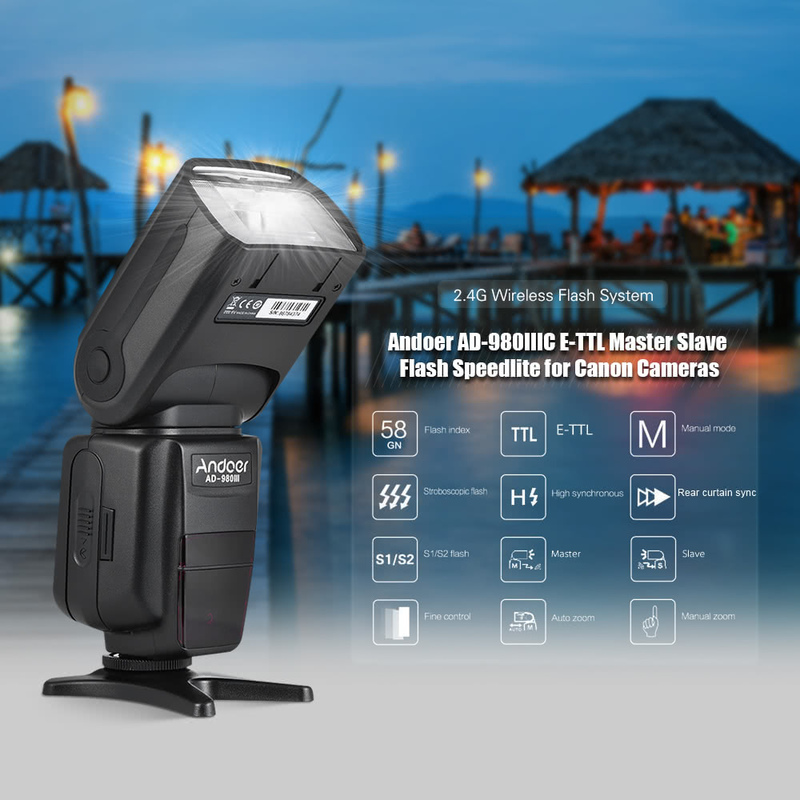 2.4G wireless master & slave function / wireless command master & slave function: AD-980IIIC as master unit: Support 16 / 4 channels, 3 different groups, to achieve multi-lamp creative distribution of light. 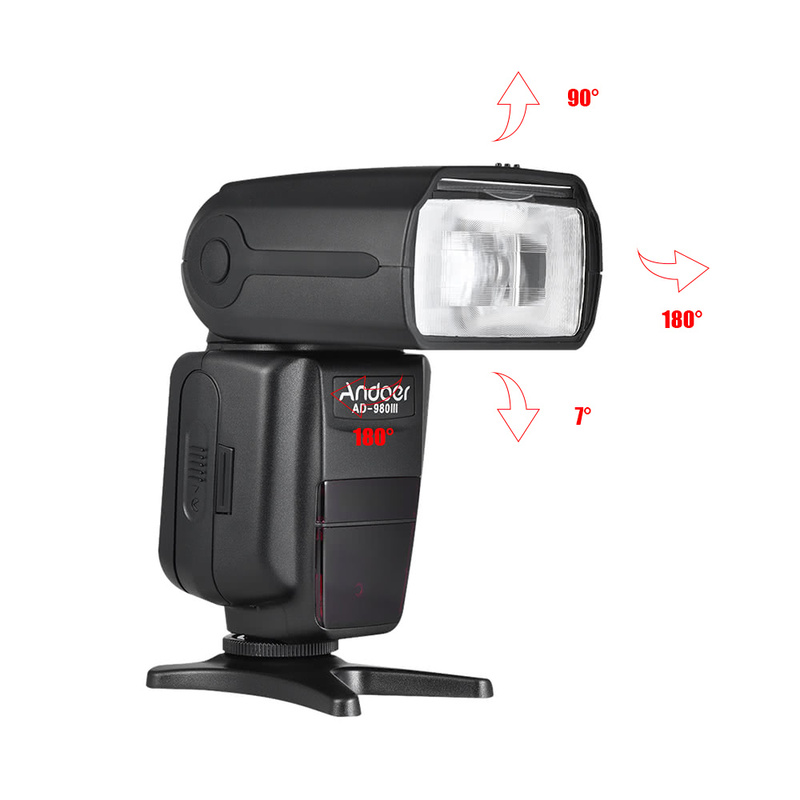 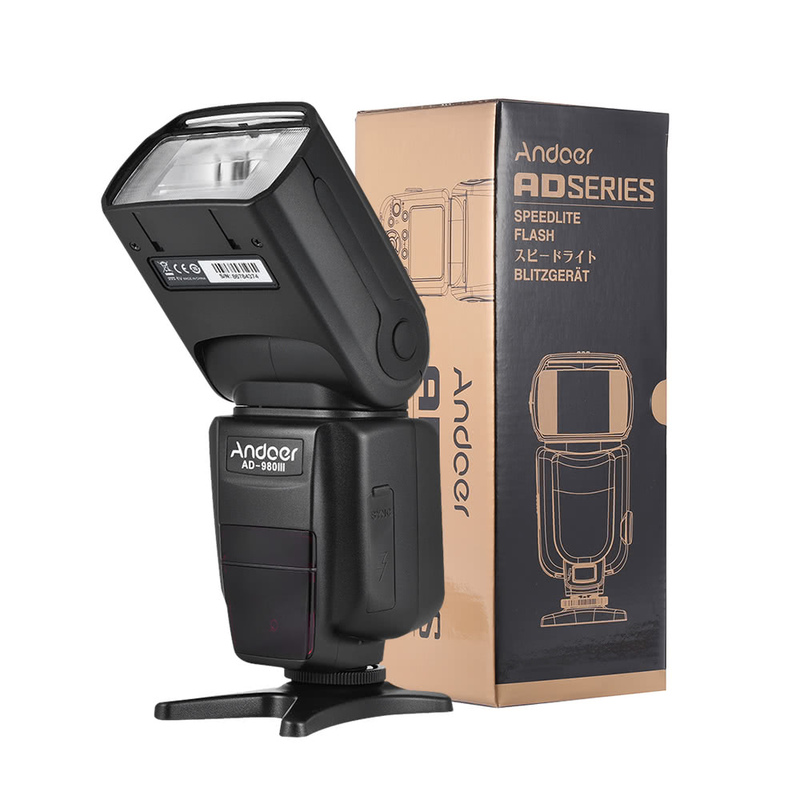 AD-980IIIC as slave unit: Receive signals from the transmitter / the main control unit, realize E-TTL flash from the machine. 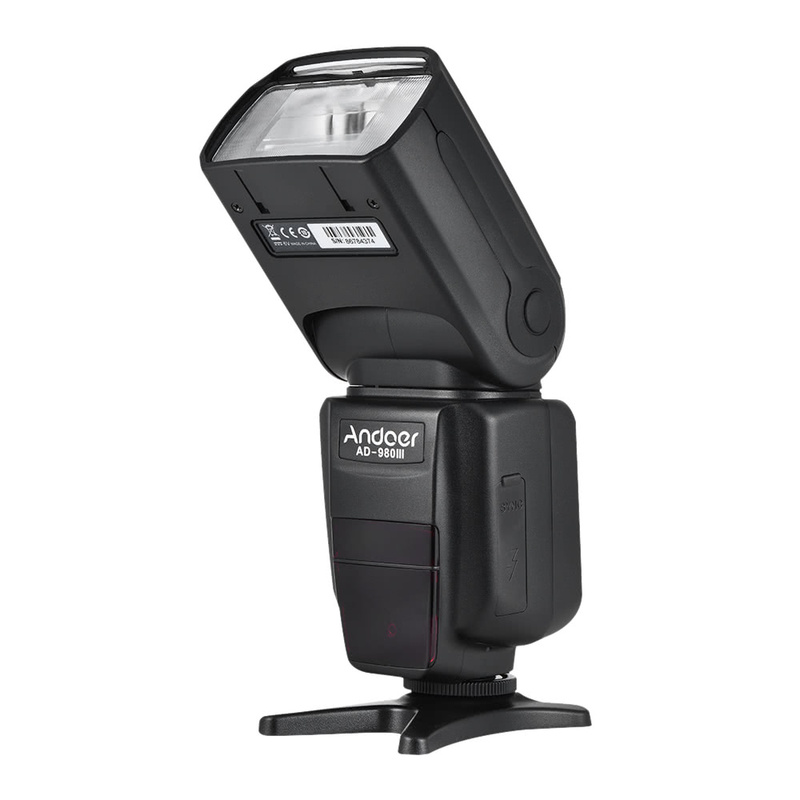 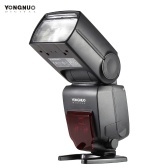 Flash mode: Manual flash, multi flash, S1, S2 modes. 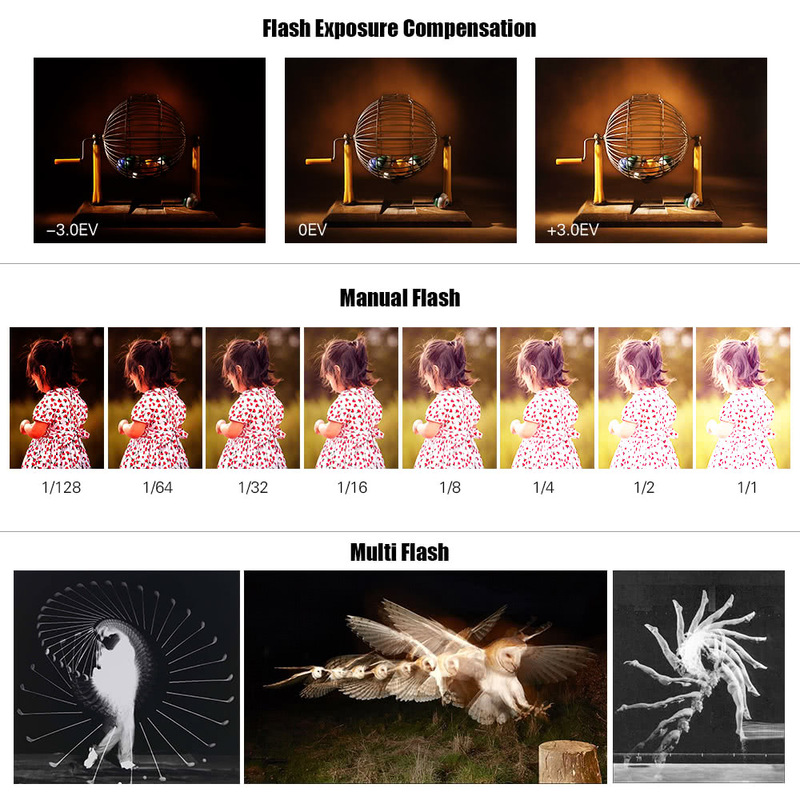 High speed sync: Max. 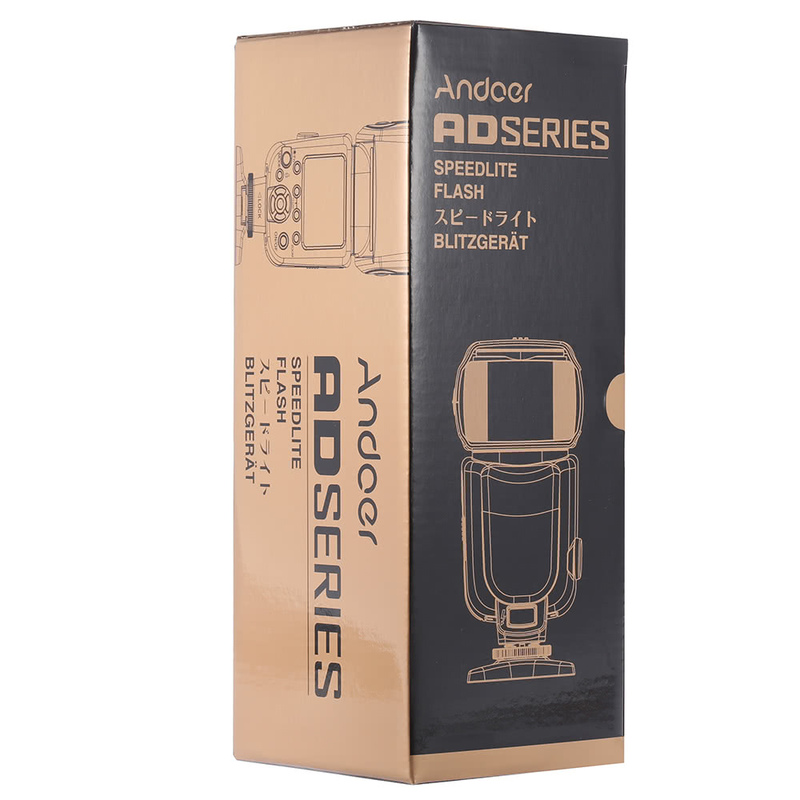 1/8000s. 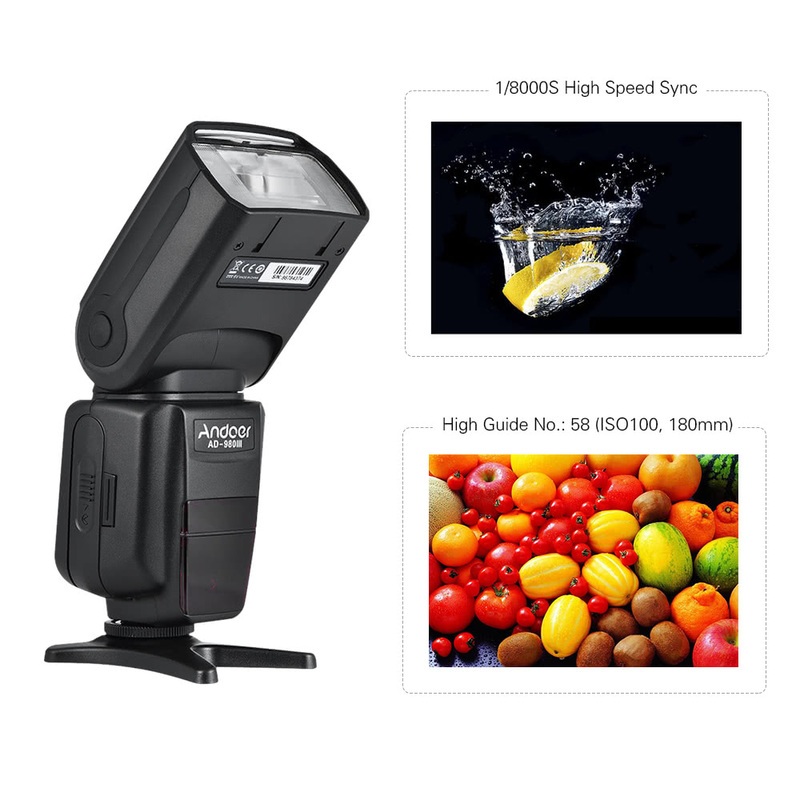 Super-fast recycle system: All-optical output recycle time is only 2.9s. 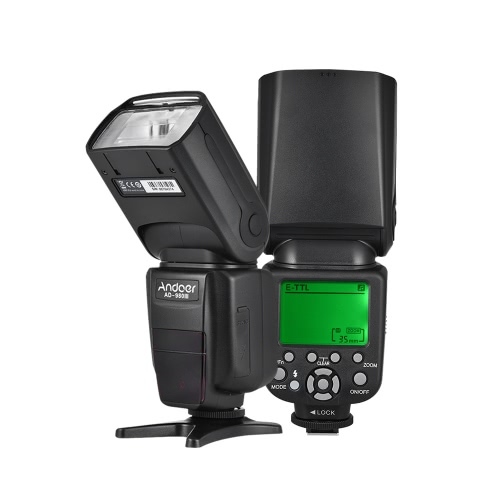 Camera menu access flash (only for Canon newer models). Other features: Second curtain; Sound prompt function; Custom menu settings; Power saving mode; Overheating protection; Manual zoom & auto zoom; Automatic saving function; Large-sized LCD display. 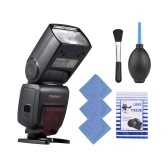 A Price: US$66.99, thank you! 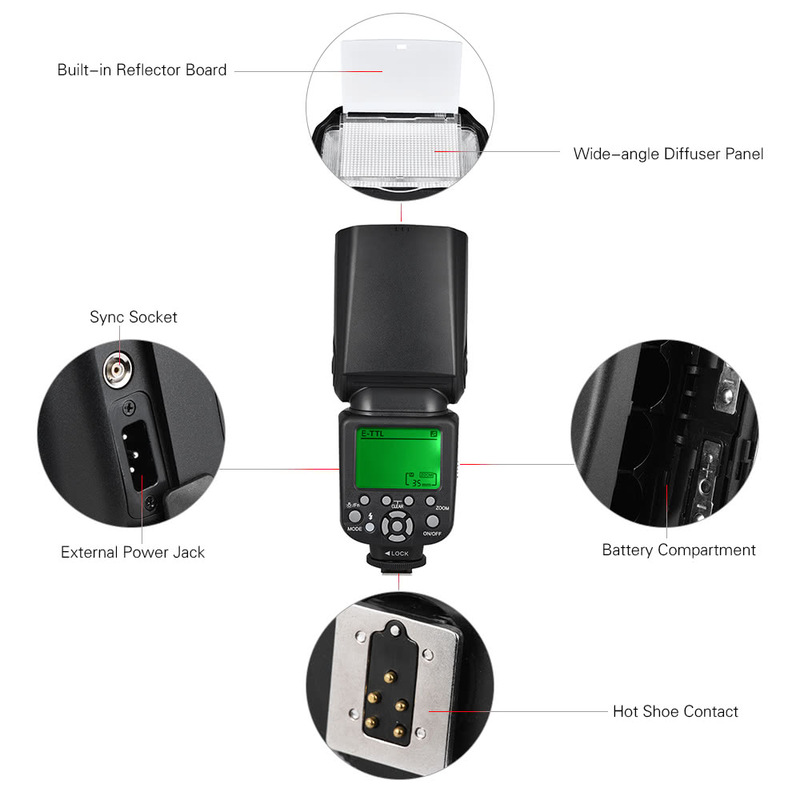 Q Is this compatible with a Canon EOS EF-S 60D camera? 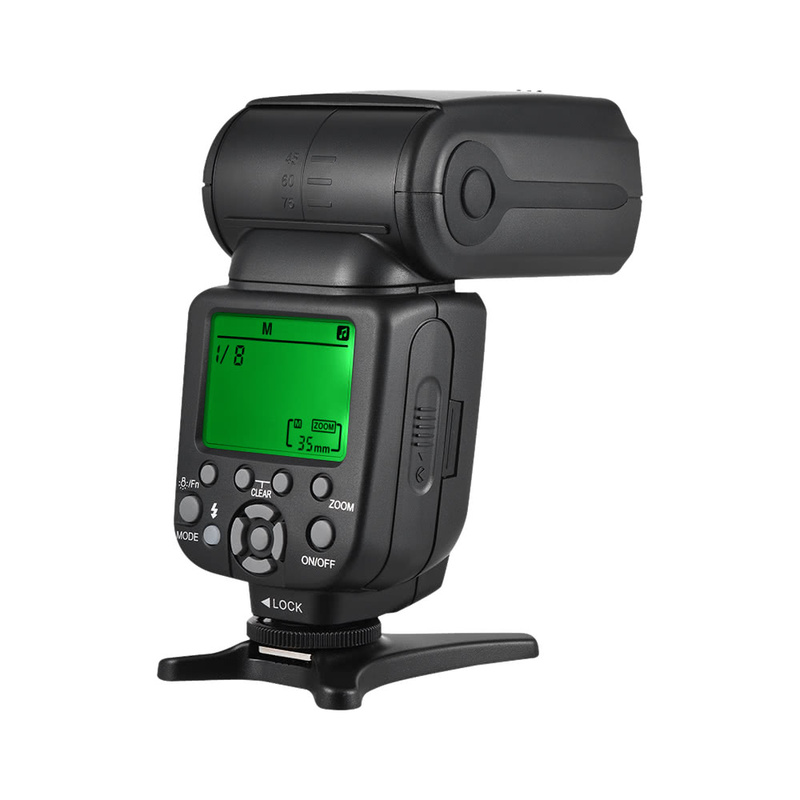 A Dear , yes it works on Canon EOS EF-S 60D camera .